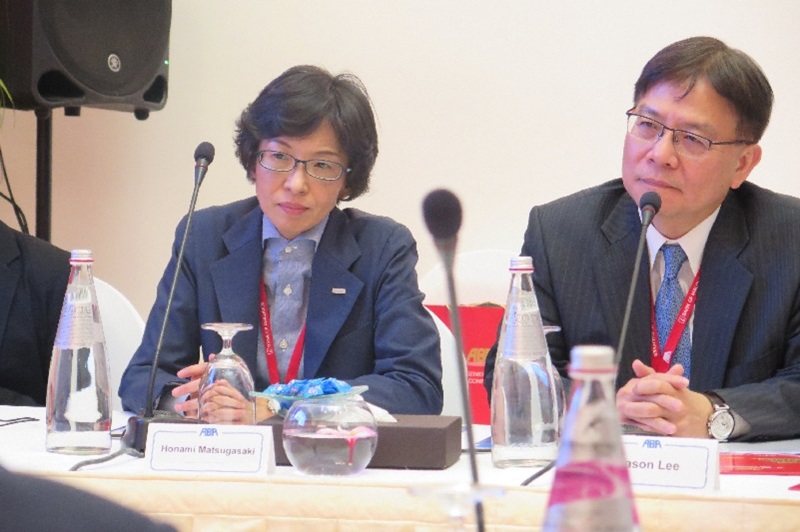 "Banking in Asia: The Next Frontier"
1. 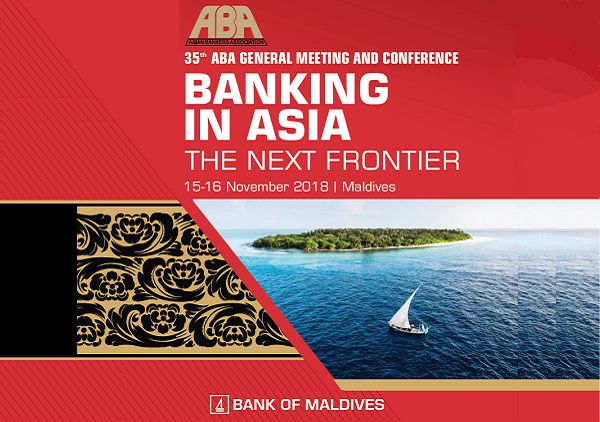 Some 150 bankers from Asia-Pacific, the Middle East and other regions – composed mainly of members of the Asian Bankers Association (ABA) led by ABA Chairman Mr. Daniel Wu, President of the CTBC Financial Holding Co. from Taiwan – gathered in Maldives on November 15-16, 2018 for the 35th ABA General Meeting and Conference. 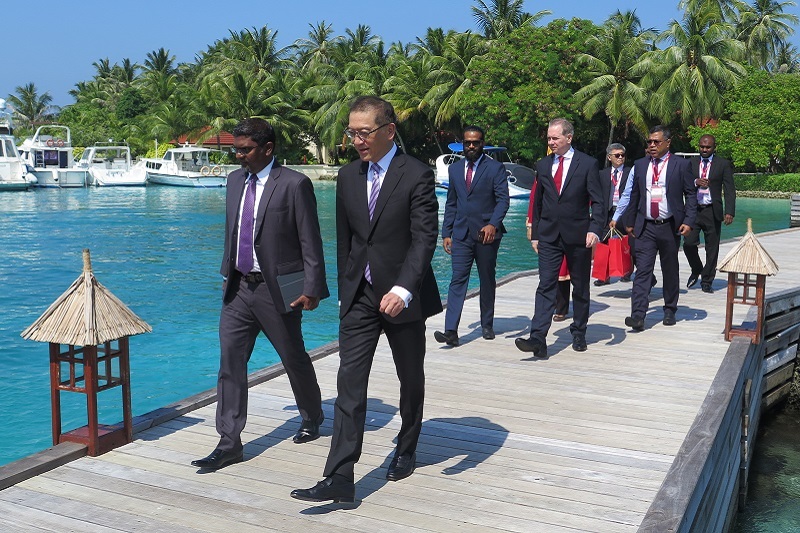 Hosted and organized by Bank of Maldives under the leadership of its Managing Director and CEO Mr. Andrew Healy, the 2018 gathering of ABA Members was held at the Kurumba Resort. 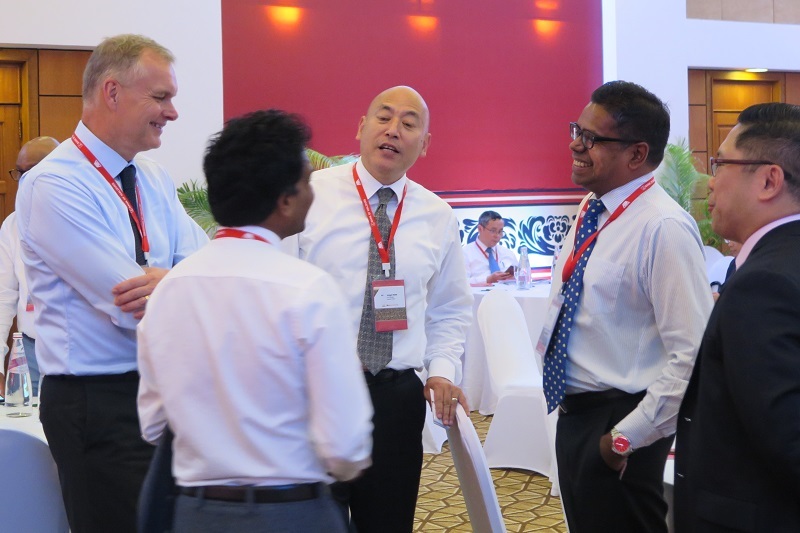 It was the first time that the ABA held its annual gathering of members in Maldives. 2. 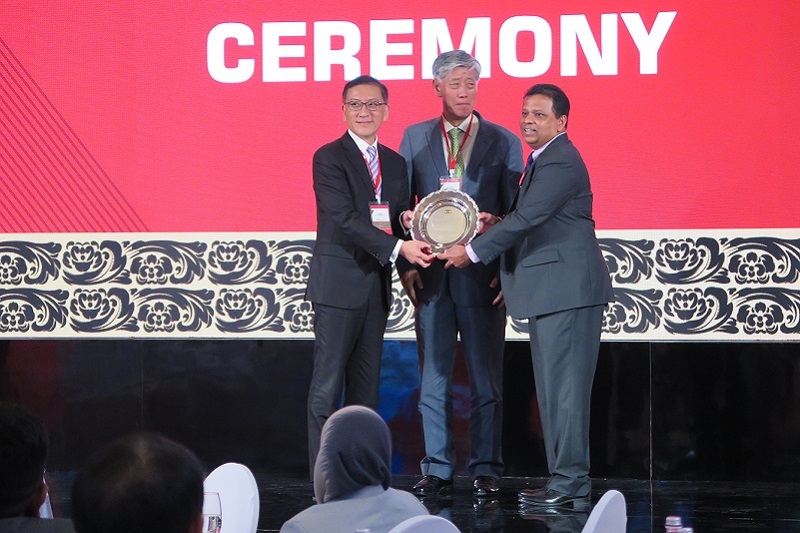 This year’s conference carried the theme “Banking in Asia: The Next Frontier”. The two day event provided another valuable platform for ABA members to meet and network with each other and to exchange views with invited speakers on (a) current trends and developments in the regional and global markets that are expected to have significant impact on the banking and financial sector of the regions, and (b) how industry players can address the challenges and take full advantage of the opportunities presented by these developments. 5. 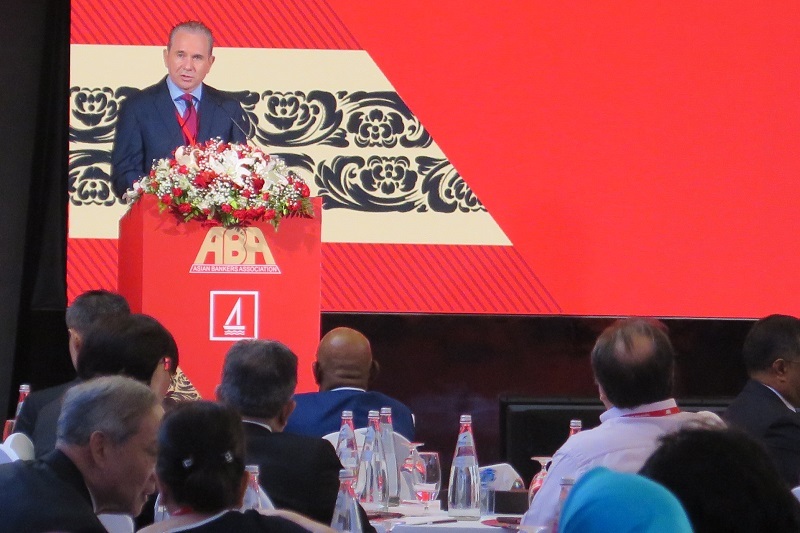 ABA Chairman Mr. Daniel Wu in his Opening Statement said that holding the ABA Conference in Maldives provides members a valuable opportunity to gain a better understanding of the country’s market – its economy, its trade and investment potentials, its banking and financial sector, and its people and manpower resources. 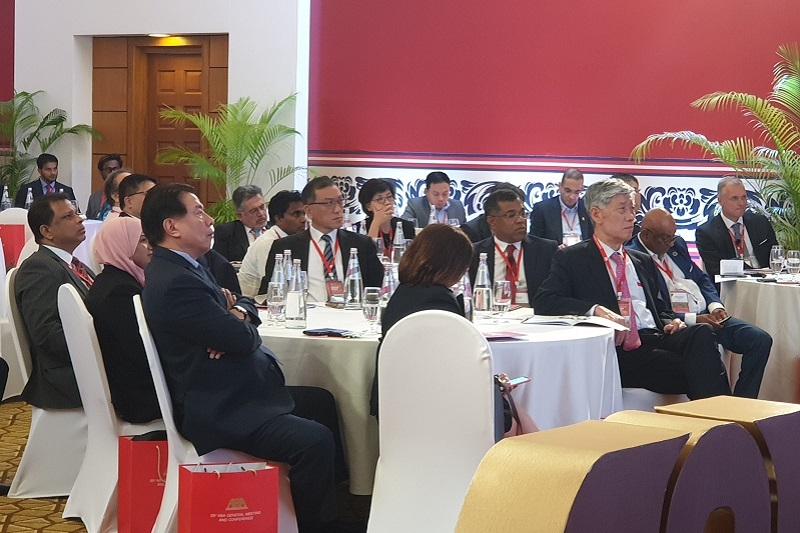 Furthermore, it serves as an occasion for us to establish contact with important decision makers in business and government, and with the important players in Maldives’ banking and financial industry, thereby helping our members in their effort to seek and identify business opportunities in the country. 6.a Plenary Session One focused on the topic “Technology in Banking: The Next Wave” Invited experts examined the potential impact of technology on banks and the probability of disruption in their particular business environment and what changes they need to do on their existing business practices in order not to risk compromising their growth and value. 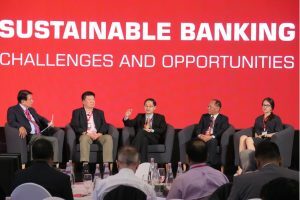 The session’s speakers and panelists were Mr. Neal Cross, Managing Director and Chief Innovation Officer, DBS Bank; Dr. Shahab Javanmardi, CEO of Bank Pasargad IT Holding Company ; Mr. Michael Araneta, Head of Research, IDC Financial Insights Asia/Pacific ; Mr. Rajan Narayan, Managing Director, BPC Banking Technologies (Asia Pacific) Pte. Ltd.; and Mr. Sanjay Uppal, Founder and CEO, StraitsBridge Advisors. 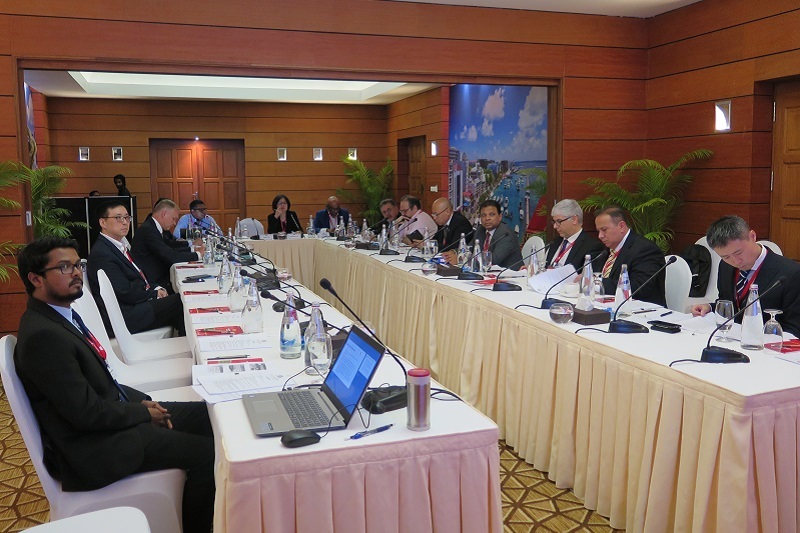 The session was chaired by Mr. Jonathan Alles, Managing Director and CEO of Hatton National Bank from Sri Lanka. 6.b. 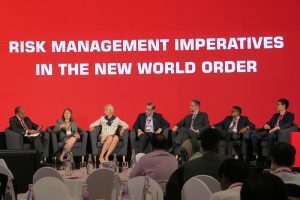 Plenary Session Two addressed the topic “Risk Management Imperatives in the New World Order.” Discussions focused on how industry players can tailor their processes to identify, prioritize, understand and measure emerging and evolving risks, while also understanding their impact and setting in place appropriate monitoring and early warning indicators to mitigate risks as they crystallize. 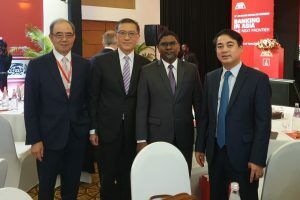 Executive Director, Asia Pacific Risk Center, Marsh & McLennan Companies; Mr. Dilshan Rodrigo, Chief Operating Officer, Hatton National Bank; and Dr. 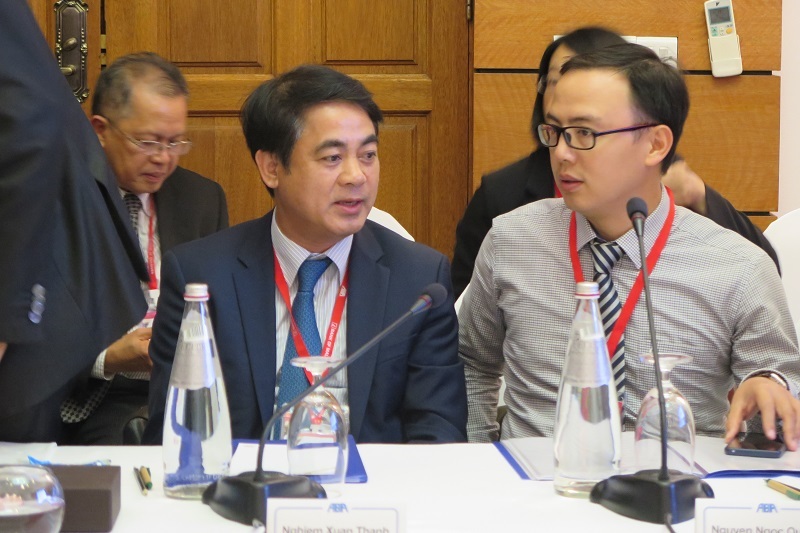 Le Xia, Chief Economist for Asia, BBVA Research. 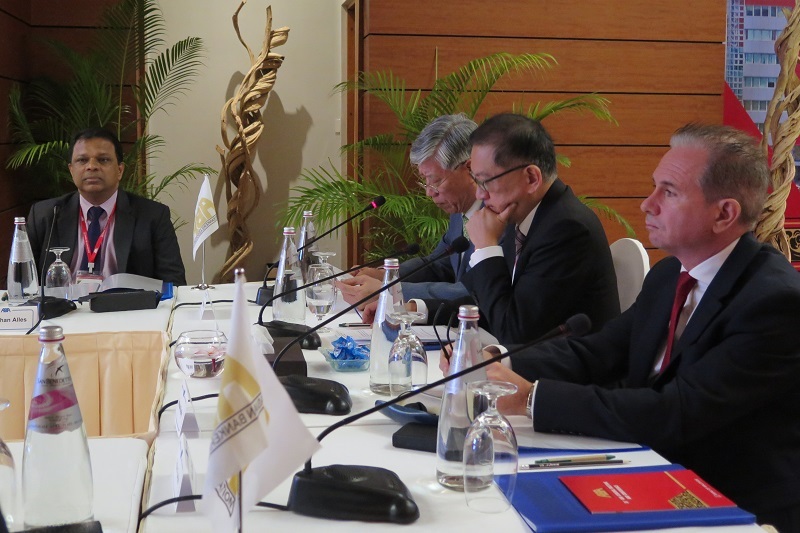 The session chairman was Mr. Mahesh Kumar Sharma, Regional Head, East Asia, State Bank of India. 6.c. 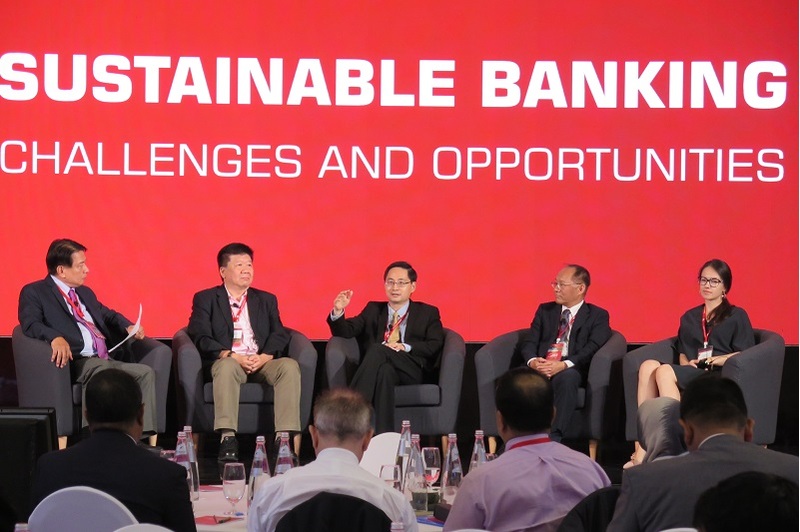 Plenary Session Three tackled the issue “Sustainable Banking: Challenges and Opportunities.” Invited speakers shared their perspectives on how banks can incorporate sustainability principles into corporate strategy funding decisions and product/service definition processes, in order to play an influential role in supporting environmentally and/or socially responsible projects and enterprise. The speakers and panelists for the session included Ms. Anna Batenkova, Deputy Head Asia, Sustainable Finance Engagement Manager, WWF Singapore; Dr. Niven Huang, General Manager, KPMG Sustainability Consulting Co., Ltd, Taiwan and Regional Leader. 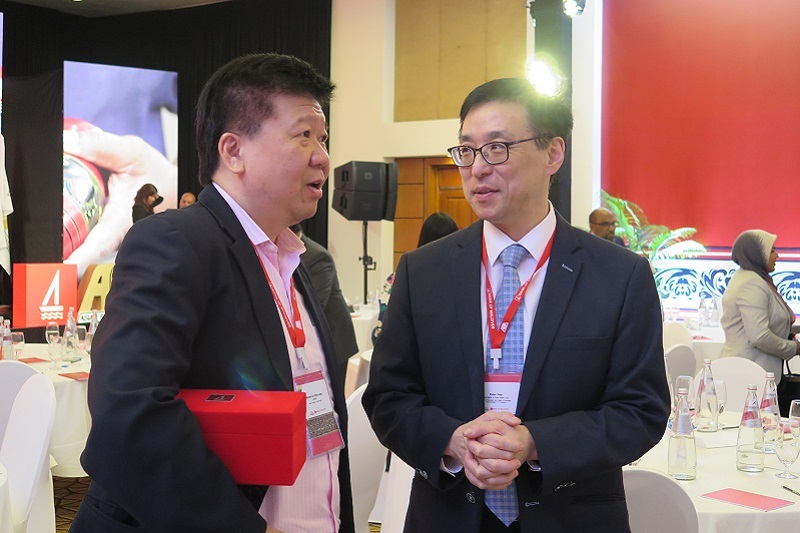 KPMG Sustainability Services in Asia Pacific; Dr. Ma Jun, Chairman, Green Finance Committee of China Society for Finance and Banking; and Mr. Michael Lor, Senior Advisor Asia Pacific, European Financial Management Association (EFMA). 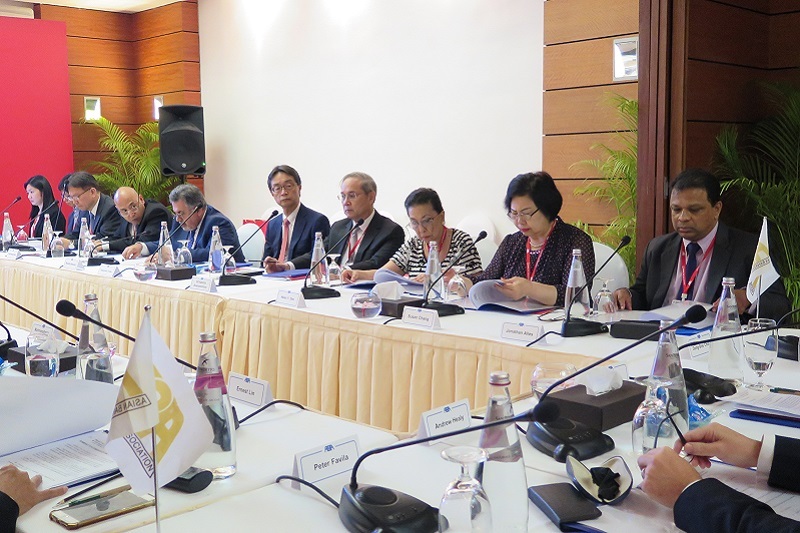 Chairing the session was Mr. Peter B. Favila, Member of the Monetary Board, Bangko Sentral ng Pilipinas and Member, ABA Advisory Council. 7.b. 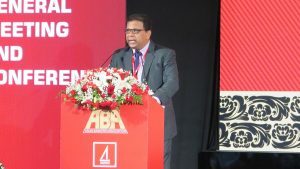 “Discover ABA” session – This special session featured country presentations by selected ABA member organizations on the economic conditions and current developments and growth prospects in the banking and financial markets of their respective countries, or on special initiatives that have benefited their stakeholders and which be adopted by other member banks. 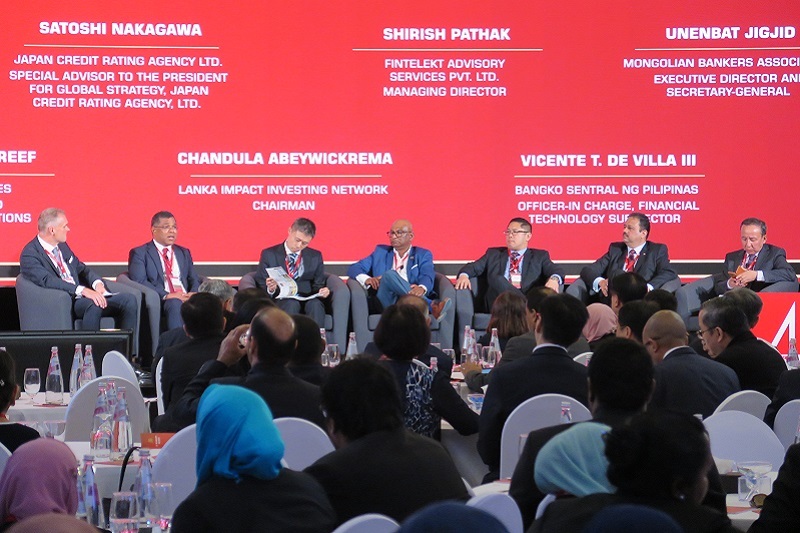 The country presenters included: Mr. Mohamed Shareef, Deputy CEO and Director of Operations, Bank of Maldives; Mr. Satoshi Nakagawa, Special Advisor to the President for Global Strategy, Japanese Credit Rating Agency; Mr. Chandula Abeywickrema, Chairman of Lanka Impact Investing Network; Mr. Shirish Pathak, Managing Director, Fintelekt Advisory Service Pvt. 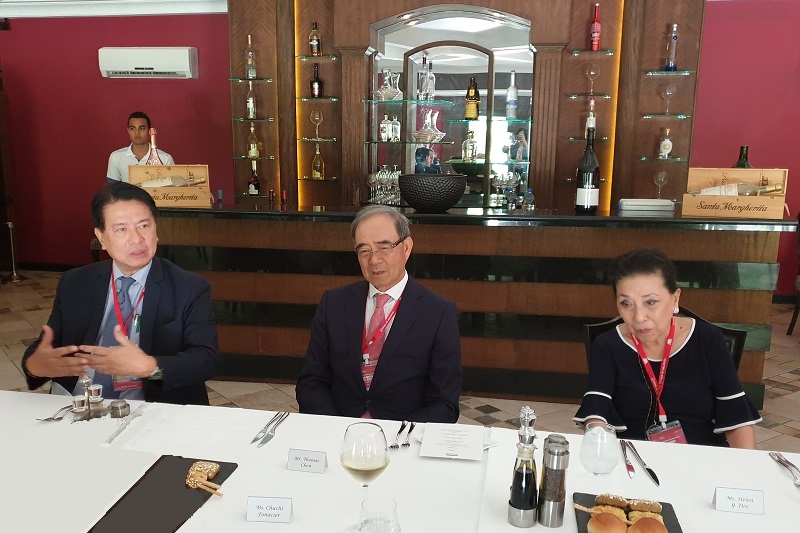 Ltd.; Mr. Vicente de Villa III, Officer-in Charge, Financial Technology Sub-sector , Bangko Sentral ng Pilipinas; and Mr. Unenbat Jigjid, Executive Director and Secretary-General, Mongolian Bankers Association. 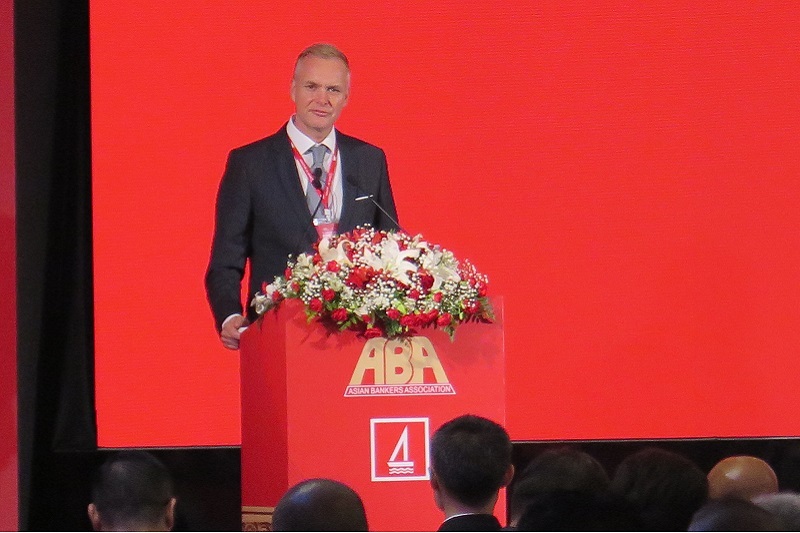 The session chairman was Mr. Oliver Hoffman, Managing Director and Head of Asia, Erste Group. 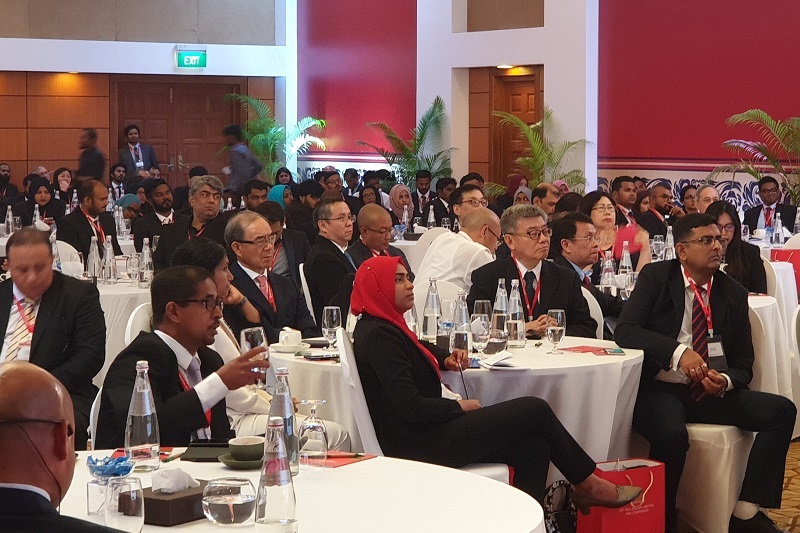 In the spirit of friendly competition, the delegates were requested to vote for the Best Country Presentation, which was subsequently won by Bank of Maldives. 9. 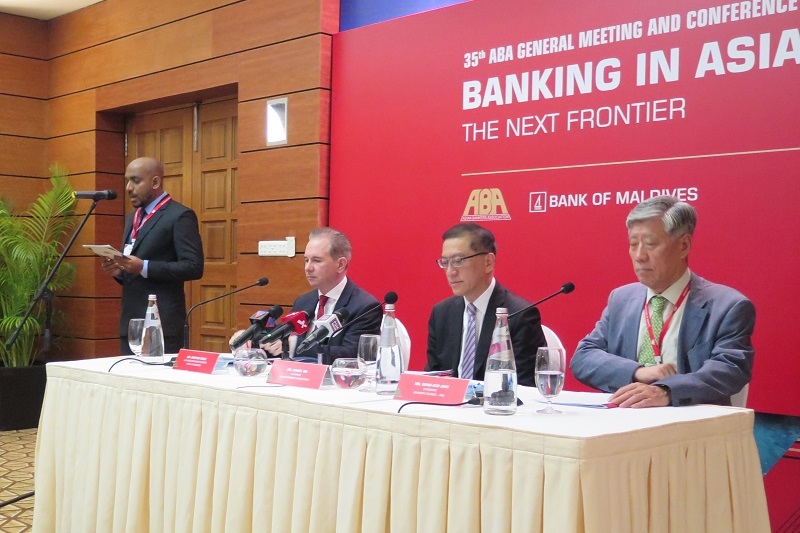 The newly elected Board elected Mr. Jonathan Alles, Managing Director and CEO of Hatton National Bank from Sri Lanka, as Chairman for 2018-2020. 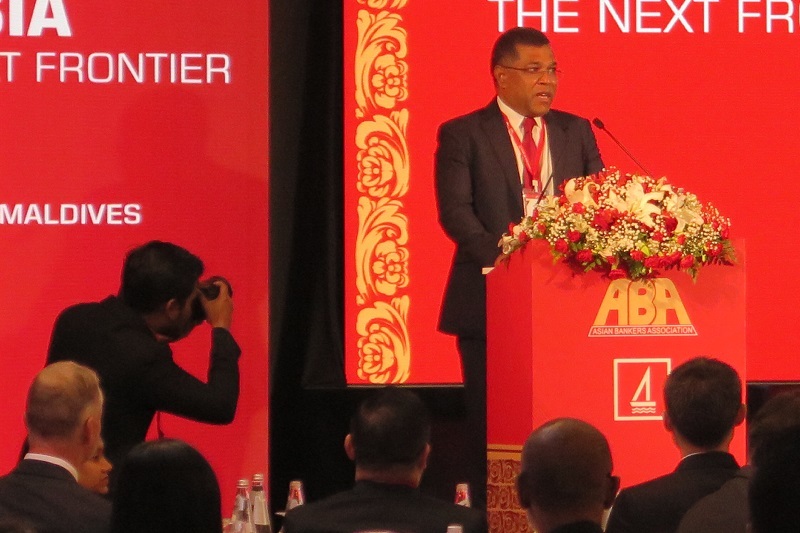 Mr. Mohamed Shareef, Deputy CEO and Director of Operations at Bank of Maldives, was named Vice Chairman. 10. 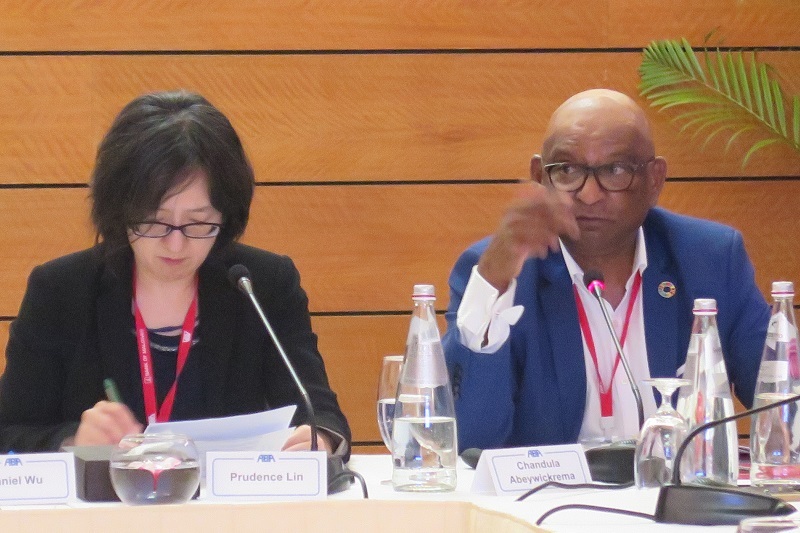 The ABA adopted its 2018-2020 Work Program outlining activities over the next two years in the area of policy advocacy, information exchange, training and professional development, strengthening relationship with other regional and international organizations, and membership expansion. 11. 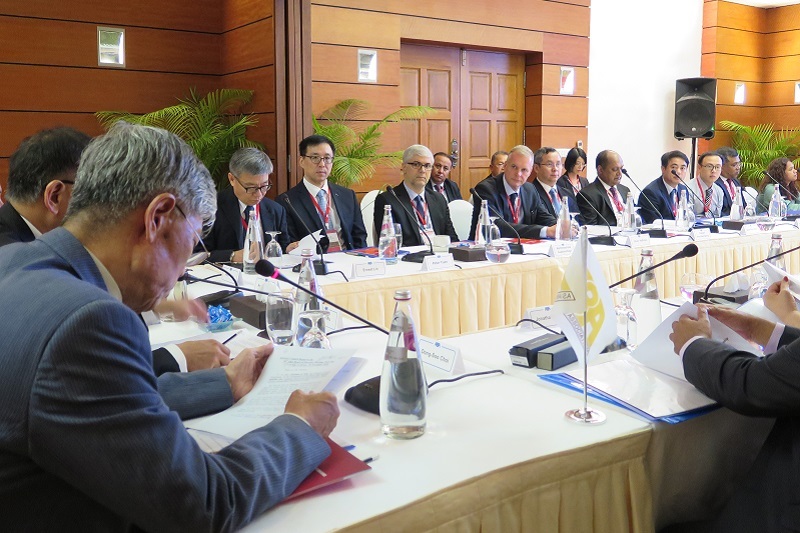 The ABA also admitted The Export Development Bank of Iran and Tamadon Investment Bank as its newest regular members. 12.a. 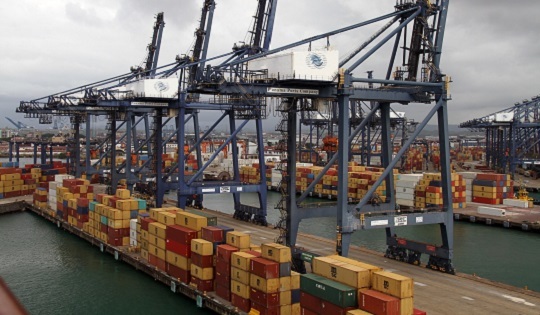 Considered the paper on the project conducted by CSR Lanka with the Durham University UK on the “South/Southeast Asian Business Society Models “ focusing on sustainable SMEs. 12.b. 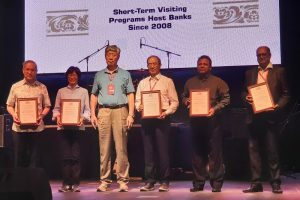 Considered the paper sharing the Bank’s experience in Islamic banking, particularly in promoting cooperation among relevant regulatory authorities, among banking units within both conventional and Islamic banking systems, and among Islamic banking system units and supervisory bodies in Islamic banking and conventional banking activities. 12.c. Considered the paper on the security measures and techniques set in place by Hatton National Bank from Sri Lanka to help prevent, detect or disrupt a cyber attack on its operations. 12.d. Considered the paper on the experiences of financial institutions in South Asia and Southeast Asia in facing the cross-border challenges of AML/CFT compliance requirements, and what actions have been taken by them to execute the implementation throughout their respective organizations. 12.e. 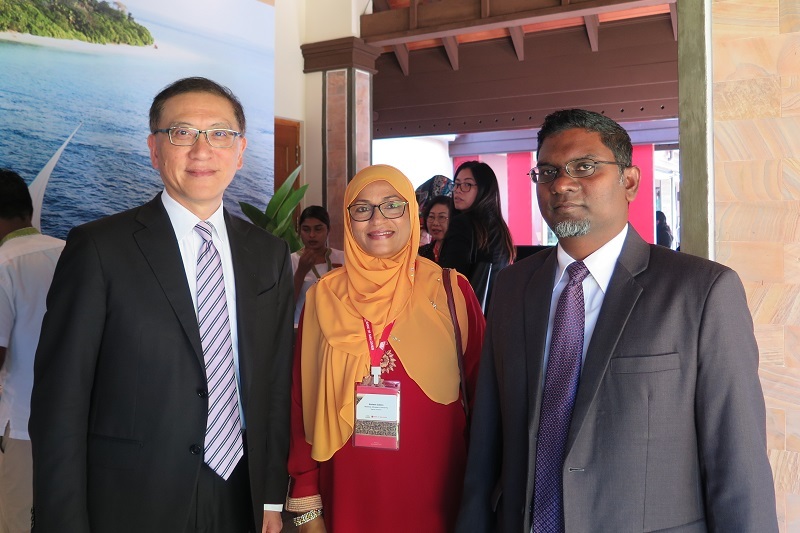 Exchanged views on possible issues for future policy advocacy work of ABA. 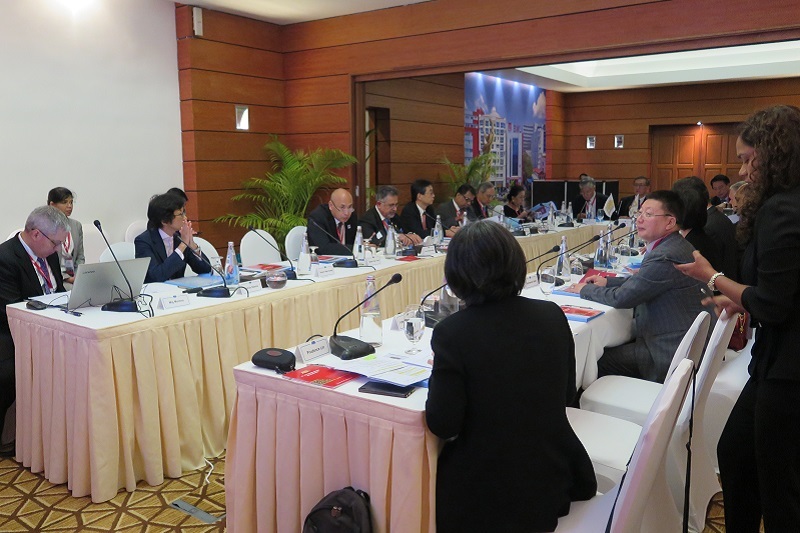 (4) Peter Yuen, Bank of East Asia Ltd.
(2) Rizal Commercial Banking Corp.
(6) United Overseas Bank Ltd.
14. The ABA presented a Distinguished Service Award to Mr. Dong-Soo Choi in recognition of his outstanding accomplishments, as Chairman of the Asian Bankers Association (ABA) from 2004 to 2006 and as Chairman of the ABA Advisory Council since 2013, in serving the interest of ABA member banks and the Asia-Pacific banking and financial community as a whole, and for his valuable contribution in promoting the growth and development of the Association. 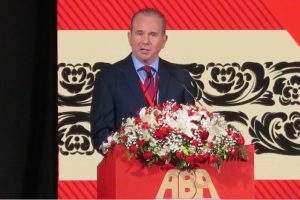 Mr. Choi has retired as the Advisory Council Chairman and has been replaced by the Immediate Past ABA Chairman Mr. Daniel Wu.